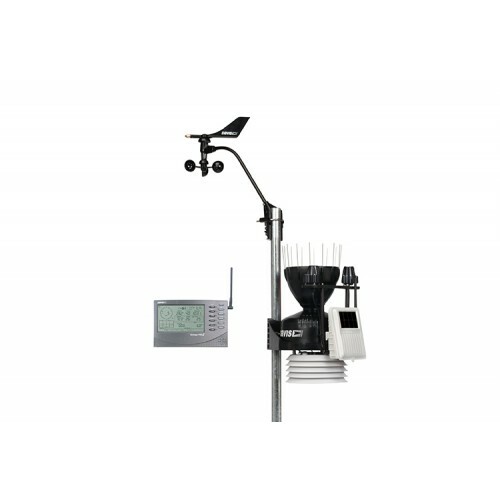 Includes Vantage Pro2 console, integrated sensor suite, mounting hardware, and AC-power adapter. Integrated sensor suite includes rain collector, temperature and humidity sensors, anemometer, 40' (12 m) anemometer cable, solar radiation sensor, UV sensor, and sensor mounting shelf. A 100' (30 m) cable connects the sensor suite to the console. Temperature and humidity sensors are enclosed in standard radiation shield.